Dread bills itself as a game of Horror and Hope. Mechanically, it is a game of suspense with advice on how to adapt that to horror. As for 'hope', it is only a game of hope in the sense that players will no doubt hope they are not the next person to be removed from the game. Hope, in the sense of hope for a better future, or in the sense of hope for a chance of redemption, is not really part of this game. If you don't already know it, Dread is the famous 'Jenga RPG' - it uses a Jenga tower as the randomizer, rather than dice. Using a Jenga tower as a randomizer is really quite brilliant, and reason enough for any gamer to own this game. It's more than just a gimmick - the tower is visual and visceral symbol of declining stability. It's there, in your face. You look at it and note its impassivity, its inevitableness . The tower doesn't care about you or your needs. It will not 'give you a break' when you need it. You cannot fudge the tower. It just stands there, inert until someone touches it, and after each interaction you are noticeably, measurably, closer to your doom. I'm not sure I can think of a better symbol for a game of suspense and horror. 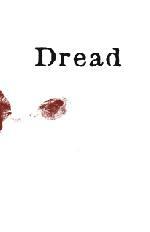 Dread justifiably won an Ennie for best design in 2006. The mechanics of Dread are fairly simple. When something needs to be tested, a block is pulled from the middle or bottom of the tower and re-stacked on the top. If a player does this without toppling the tower, they succeed in their task. If a player refused to attempt the pull, then they fail in their task, but remain in the game. If a player pulls a block and the tower topples, the player fails at their task, and is removed from the game (or is doomed to be removed from the soon, as a kind of promise). Deciding when to pull, or who decides when to pull, or whether to knock the tower over on purpose, are all nuances covered by the rules. Character creation is largely descriptive. The GM develops a unique questionnaire for each player, and each players answers these. The answers provide the facts for the player, and the facts influence both how the player will play the character and how the character will pull blocks. Characters need not pull blocks for things they are 'skilled' at, according to their answers. The questionnaires also serve to set the tone for the scenario, providing foreshadowing and red herrings to the players. In creating a character, players will be forced to think about the themes of the game, and may question why certain questions are on the sheet. It's mechanically simple, but complex in nuance. Most of this book is taken up by GM advice. There's a chapter on how to host a game, another on how to create a scenario, then six chapters on how to use the mechanics to bring out certain themes: suspense, supernatural, madness, morality, mystery, and gore. Then there are three scenarios, each using a different skin: a deadly grand-canyon camping trip, an 'alien' type SF scenario, and a cosy-cabin slasher flick scenario. The first of these is more developed, but all have good advice and tips on how to run them. Lastly, there's a short section on how to play the game if you don't have a Jenga tower. Conceptually, this game is brilliant. Knowing the concept, I'm willing to bet most experienced GMs can play Dread without even needing to read the rules. And yet there's a fair bit of text in here - what are we getting. The first part of the book is rather surprisingly filled with advice for people who are new to role-playing games, and for an experienced gamer I have to admit this makes for dull reading. I don't really need to be told how to host a game, for example. It strikes me a a bit odd, because I have trouble seeing anyone new to roleplaying games picking up Dread at random as their first game. It doesn't even come with one of those 'what is roleplaying' sections. In fact, I don't think it ever even calls itself a roleplaying game - though it surely is. The second half of the book, though, is filled with advice that even the most experienced GM will find useful. This revolves around how to use the rules to bring out certain moods in the game, and in the 'Scenarios' chapters, advice on how to create scenes, advice on pacing, and so on - it's great stuff. In spite of being full of advice on building scenarios and when to ask for pulls, I would have liked just a little more on how to ask for pulls without spilling the beans. The specific scenarios give a little of this at the end, but a section on this in the middle would have been welcome. The book is chock full of examples of when a GM should request that a player make a pull - but a little short on how to phrase the request without giving the game away. For example, if the GM wants to test whether the characters can sense something, they will ask for a pull. But how? Do you say to them "Anyone want to make a pull to detect something about the room?" In this case, the characters will undoubtedly suspect something. Maybe that's not a bade thing, but maybe the GM wants to keep some secrets. A GM can no doubt learn the answer to this through trial and error, but I would have liked more from the authors, who no doubt have a lot of experience with the system. I was also a little unclear as to how many collapses the GM should be aiming for. The game is clearly set up for one-shots, and in the rules they seem to suggest that a GM should expect several collapses of the tower. But how many? One collapse per player minus one? Two collapses? Yet the sample scenarios included suggest that GMs should aim for a single collapse at the end of the scenario, and pace things accordingly. I would really have liked to get ore advice on the number of collapses in a session. Presumably too many and things get comical. But one collapse may not be dramatic enough. Overall, I think this is a wonderful game that every GM (if not every player of RPGs) should own. I think it spends a little too much time tailoring the advice to people who will never play the game (it even at one point says "If you happen to have a bunch of dice lying around the house, try this..." - I mean really - no person that has no dice in their house will ever purchase this game - who are we trying to kid?) and it misses a few opportunities to tell real game players how to run the game. But these are very minor quibbles. I give this 4.5 out of 5 for being a very creative, very adult, very intelligent game about creating great, suspenseful experiences at the table. Great review. I will add a tidbit of trivia. Several years after Dread came out Eppy made a serious push to try to sell it to non gamers. He even got a both at a horror movie convention. It didn't go well, but he tried.